Apple started selling their new state of the art LED Cinema Display Monitor of 27-inches screen size. The monitor is all in one type of screen with USB, Charger, Camera, Mic, Speakers and the price is just $999. On the other hand Dell introduced the new 30-inches screen with 2560 x 1600 pixel resolution for $1499. This is one accessory that could be a major hit among many.Dell has launched the Wasabi PZ310,its a portable hand held printer for mobile,cameras and netbooks.This is very useful as people need to get the print out sometimes in an urgent situation.It reminds me of the Polaroid cameras which gave instant photos on just a click. 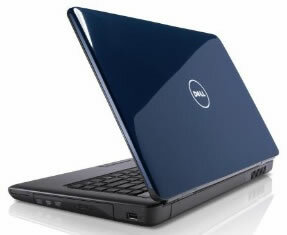 It was said to compete against the McBook Air last year.The Dell Amado is thin and a very good looking laptop.The laptop is no less then a modern day beauty,here are some of the first released pics of Amado.